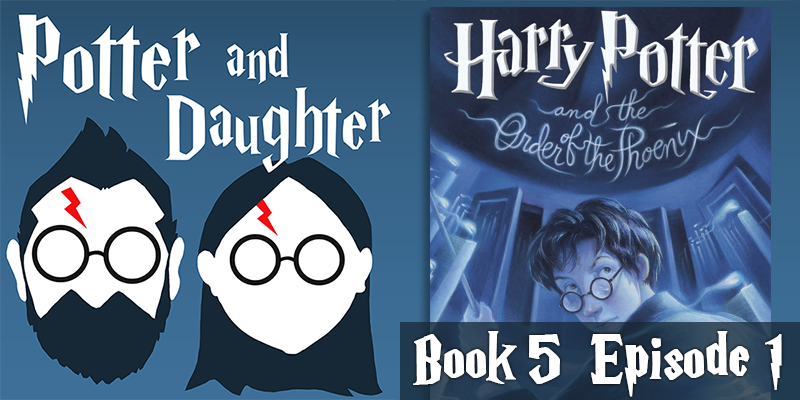 In episode seventeen of Potter And Daughter Joel and Lily start out on Harry Potter And The Order Of The Phoenix and cover chapters 1-6. This is the first book in the series that Lily has not read all the way through as of the time of our recording. Harry isn’t being kept in the cupboard any more, but he IS being kept in the dark by everyone that supposedly cares about him. Dudley has a Dementor encounter, Harry gets expelled (again? ), but not really (again? ), then is kidnapped by allies old and new and taken to The Noble and Most Ancient House of Black to find out what The Order is really all about.